Capital of the district of Mostar, in the province of Bosnia and Herzegovina, Austria. 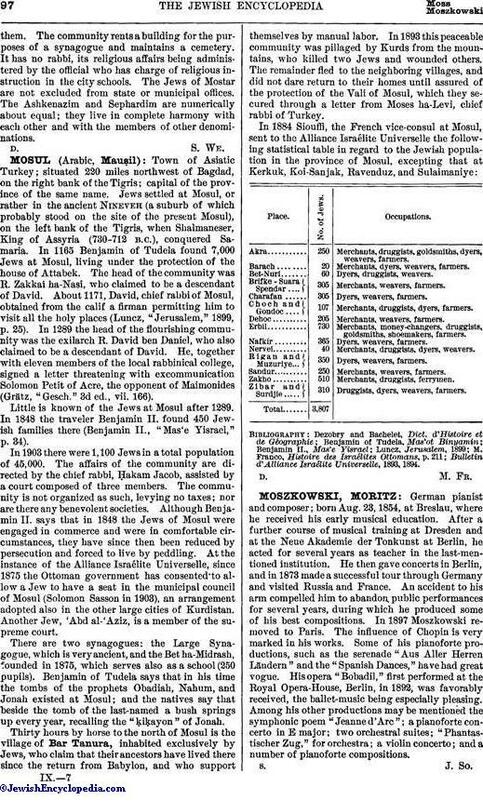 It had in 1895 a total population of 14,370, of whom 164 were Jews. The first Jews settled at Mostar in 1850 and founded a community six years later. 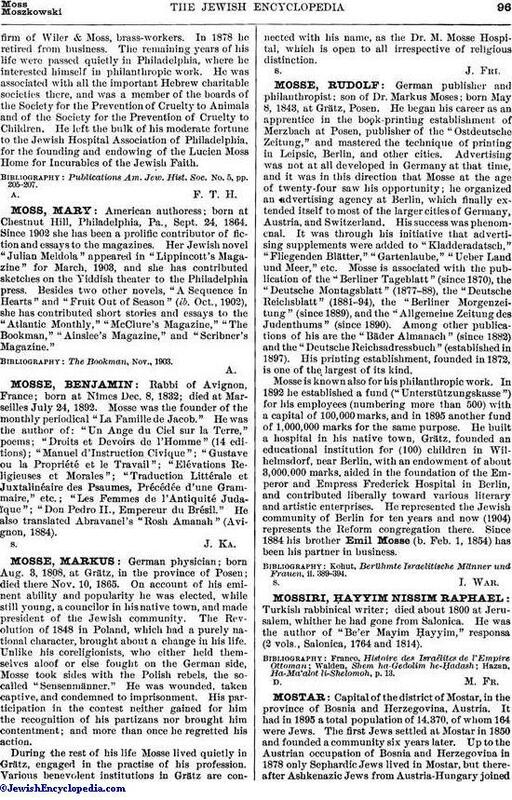 Up to the Austrian occupation of Bosnia and Herzegovina in 1878 only Sephardic Jews lived in Mostar, but thereafter Ashkenazic Jews from Austria-Hungary joinedthem. The community rents a building for the purposes of a synagogue and maintains a cemetery. It has no rabbi, its religious affairs being administered by the official who has charge of religious instruction in the city schools. The Jews of Mostar are not excluded from state or municipal offices. The Ashkenazim and Sephardim are numerically about equal; they live in complete harmony with each other and with the members of other denominations.